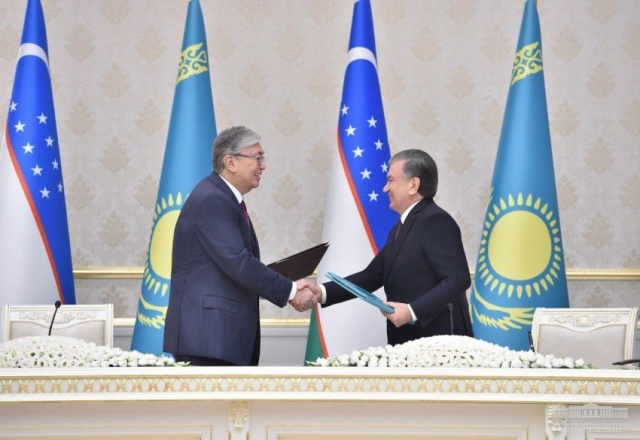 The Uzbekistan – Kazakhstan summit talks have been fruitful and were held in a constructive spirit. Following the meetings, about ten documents have been signed, covering diverse areas of cooperation. At a briefing for representatives of the mass media, the heads of state pointed out that the talks were held in the spirit of openness and complete mutual understanding inherent in the fraternal relations between our two countries, that they thoroughly discussed through the entire agenda of cooperation, and that mutually advantageous agreements were reached. The state visit has been a confirmation of the shared desire to bolster the strategic partnership and the commitment of the two countries to peace and sustainable development in the region.